Newinhomes.com recently had the opportunity to interview Frances Martin-DiGiuseppe, Architect, OAA, AAA, MRAIC, Principal, Q4 Architects. Her firm focuses on all types of projects including residential, retail, commercial, rental, and more. They particularly specialize in designing for the “missing middle,” aiming to improve housing affordability in urban centres. Frances Martin-DiGiuseppe (FMD): At Q4 Architects, we have been designing “missing middle” type homes for many years. 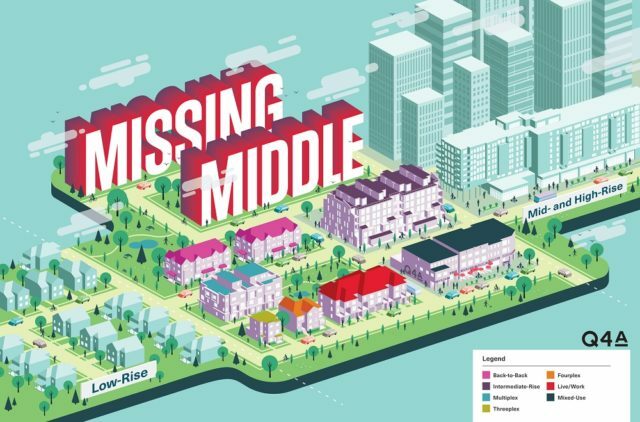 By “missing middle,” we mean housing that falls between the two extremes of detached single-family homes – which we have no space to build now – and high-rise multi-residential units – which can be intimidating and often lack the facilities and community space desired by a young family. We believe that building more of these types of homes is one of the most positive ways that we can future-proof our cities. NIH: When it comes to developing the missing middle, what Toronto neighbourhoods should be targeted? FMD: Missing middle type housing can positively benefit any neighbourhood it is built in. Medium-density, low-impact buildings that are designed with a community in mind are of benefit to all residents. An affordable, mixed-use housing supply allows families to stay together and creates employment opportunities closer to home. NIH: Would you say there is a Toronto neighbourhood already catering to the missing middle? FMD: I think some of the older neighbourhoods developed in the 1930s have some interesting mid-rise homes, but what we are proposing takes that concept and really transforms it into a community hub. We would like more high street-style living, more flexible living options – if there is space for a garage, why not create the option of a laneway style suite above? Tactics like that really aid affordability and allow residents the opportunity to create an individualised living space within a vibrant, tight-knit community. NIH: With work in different provinces and states, which city is designing affordable housing the best? FMD: The current crisis in affordable housing is a fairly recent development and I don’t think any city has really found a really good, watertight solution yet. It is a challenge that requires forward-thinking and creative design. I look to other countries for inspiration on how we can best move forward in Canada. I’ve seen first-hand in countries like Denmark, Norway and Sweden, how well-designed, four- to six-storey newly constructed homes allow young families to stay in communities they have grown up in. There are even some very innovative projects that manage to achieve this while affording them the dignity of their own front door. A great example of this is 8 House by BIG in Copenhagen. FMD: It’s been an amazing opportunity. We have been working on their projects for well over 20 years and it has really been a pleasure and privilege. I respect the fact that they are invested in creating complete communities and not just subdivisions. They develop and build these communities themselves – it starts with a lengthy visioning process, and this vision comes right from the founder, Peter Gilgan. There is huge care and thought given into making homes and communities that will be truly livable. He has imbued that into the company philosophy. It’s been an incredible opportunity to work with him, as we certainly share that vision, too. NIH: Q4 has so many awards – which are you most proud of? FMD: I am very proud that our team won first prize from the American Institute of Architects (AIA) for a competition to design a disaster resilient home prototype for Tornado Alley in the USA. It had the potential to do the most good and we had incredible interest in the concept we designed. 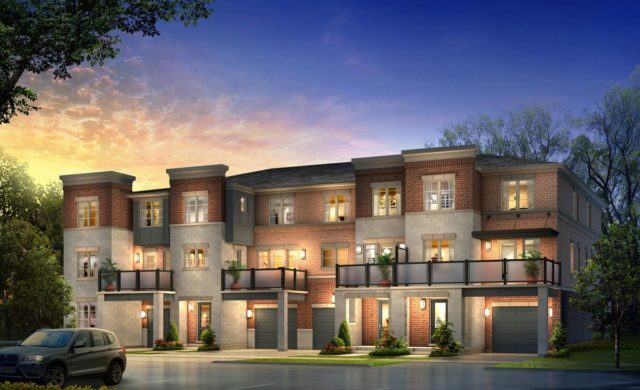 Another recent project that won many awards was our design for Mount Pleasant Village in Brampton. 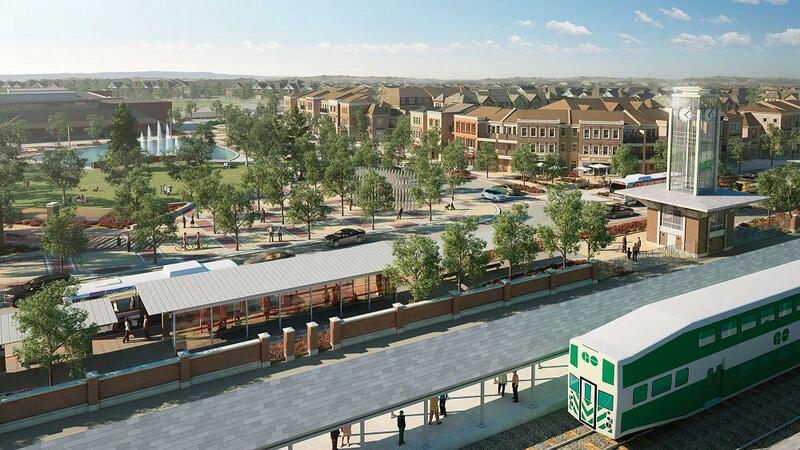 It was the first Transit-Orientated-Designed community in Ontario and attracted a lot of positive feedback for its sustainable, community-focused design elements. Big thanks goes out to Frances for taking the time to chat with us about Q4 Architects and designing homes for the missing middle to address housing affordability issues in the Greater Toronto Area.